Our pronto fabric graphic display stand is a great new alternative to the traditional pop up display stands. Our vertical curve option can create a very unique looking display without taking up a lot of floor space, which is perfect if you’re short on space but want to make a big impact. We print our Pronto’s using a technique called dye sublimation which prints your design into the fabric rather than ontop of it. This ensures a higher quality print display that is unrivalled in vibrancy, colour and sharpness. 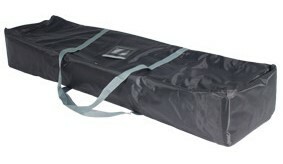 To assemble a Pronto, the single piece fabric graphic fits around the lightweight framework (we’ve even numbered the framework to make it even easier for you) like a pillowcase and is secured in place with a zip. 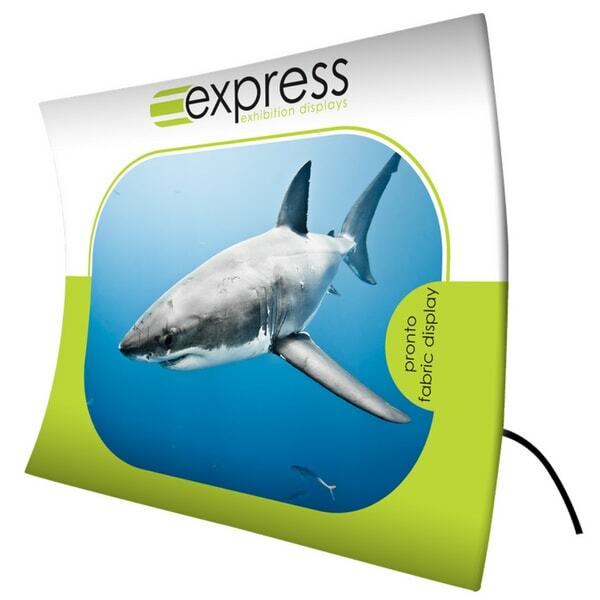 Perfect for event backdrops and displays, this display gives you a great background, pronto.